What is it about ancient Egypt that still has us spellbound? Is it the thrill of discovery? The thirst for knowledge? Mysteries beneath the sands? Tombs? Temples? Hieroglyphs? 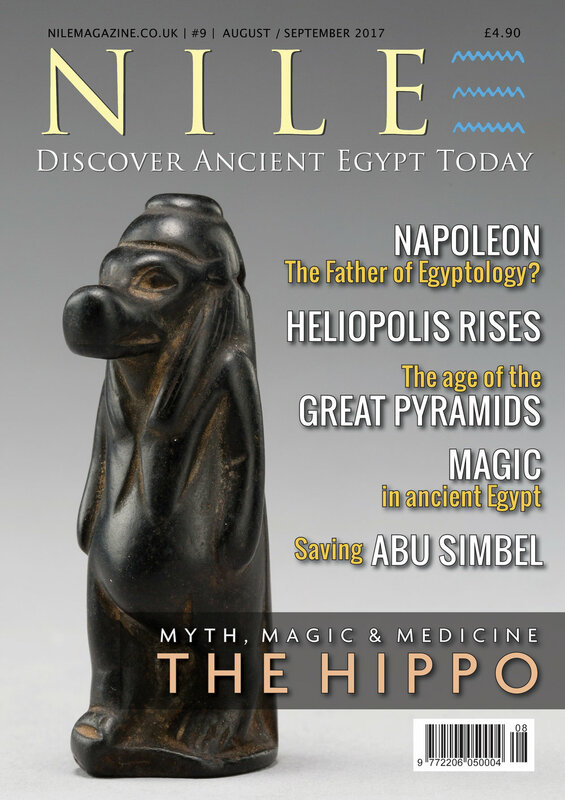 In the current issue of Nile Magazine, we explore Egyptomania, and why it is that—over 2,000 years since Cleopatra ruled Egypt—ancient Egypt is still trending. Randolph Hearst’s “The American Weekly” ran a series of covers titled “Pin-up Girls of History”. Naturally one of those glamour girls was the Egyptian queen whose name is synonymous with great passion, steamy affairs, scheming politics and a tragic end—Cleopatra. Artist Henry Clive gave the ‘Queen of the Nile’ the face of sultry '40s movie star, Dorothy Lamour. This painting graced the cover of the October 13, 1946 edition of the "Weekly". Image courtesy of Grapefruit Moon Gallery, an online art gallery based in Minneapolis, Minnesota.